You deserve optimal dental care of the highest quality. By mastering the latest and most effective techniques, we bring a unique approach to each of our patients yielding truly profound results. Our patients understand that their options are founded on a conservative approach as we practice with each individual’s long-term health in mind. We stand behind our work and our word. Our dedicated and high-performing team members create peace of mind for our patients and each other by meeting every distinct need with the utmost consideration, respect, and care. Our professional development builds as we work to better ourselves for our patients’ benefit. We engage meaningfully with the community, giving back to make a difference. Patients partner with us in their commitment to a lifetime of learning and growing, on the path to achieving and maintaining their overall health and well-being. They recognize and value the quality of care they receive and readily refer their friends and family. 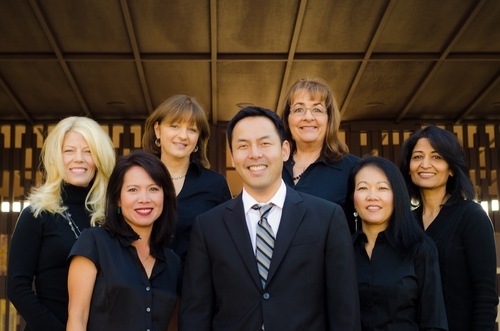 Livermore, California Dentist, Dr. John Chan is dedicated to family dentistry such as Exams, Teeth Whitening, Veneers and more.